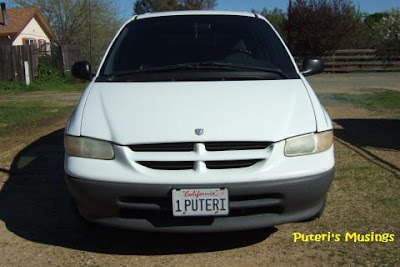 Puteri's Musings: Move Over Princess! A couple of days ago, I was at an intersection waiting for the traffic lights to turn green. 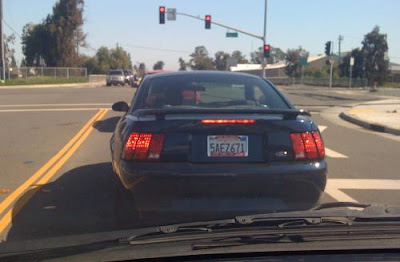 I was amused when I saw the words on the frame of the registration plate of the car in front of me. And there I was sitting in my car, with this registration plate on! Maybe it's time I change my "title" to Permaisuri, the equivalent meaning to "Queen"? Thanks for merging the blogs. Now I need only to visit one blog to reach both hehehehe. I doubt that the other party knows the meaning of Puteri. Anyway Permaisuri will be more apt. Hehe, Lesley, maybe now is the time to move up to the level of Permaisuri! My daughter wants the Puteri title now! Ya lah, the next domain name I should buy is Permaisuri.Me! Pi Bani, haha, maybe soon! But I cannot use Permaisuri on my custom car plate ... we are limited to a combination of 7 letters and numbers. Kalau boleh, kan lawa?